I purchased the Makeup Remover Cleansing Water, Gentle Cleansing Milk and the most talked about item from their range the Beauty Elixir all from feel unique. 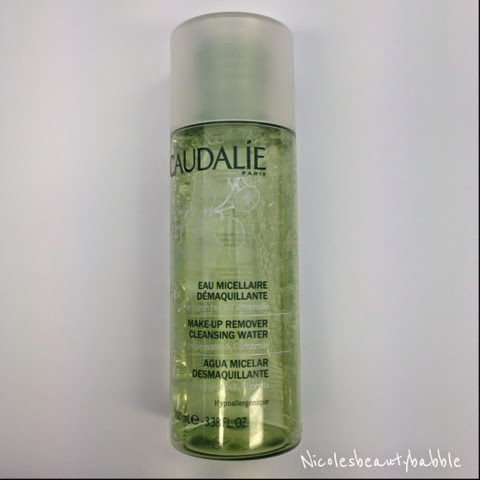 Caudalíe Makeup Remover Cleansing Water - I have almost finished using this 100ml bottle of makeup remover and it has a nice fresh scent nothing to overpowering and it feels gentle on the skin and leaves my skin feeling fresh and clean. I didn't however think that it was the best makeup remover I have used and prefer my Garnier Micellar Cleansing Water (review here) Specially as the price is a tad high for such a small product. I purchased this makeup remover for $18.00. 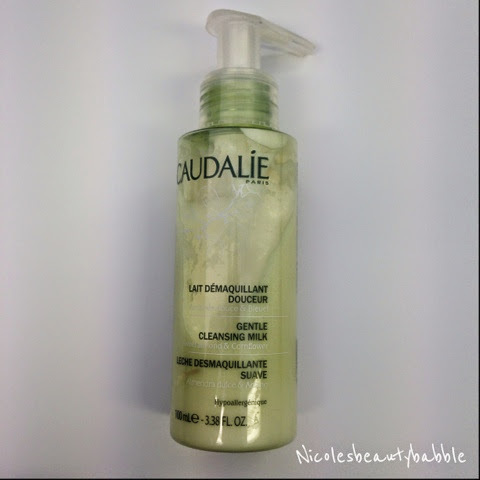 Caudalíe Gentle Cleansing Milk - I haven't used a lot of this product and I will not be finishing this cleanser. I really dislike this cleansing milk I mean it feels great when you are using it and it has the same light fresh scent but after I wash it off my face it left a residue and I didn't like this one bit. I like to know that all the product has gone and leave my skin fresh and clean, this cleansing milk didn't I still felt as though my face was dirty. This Cleansing milk was also $18.00 for 100ml. 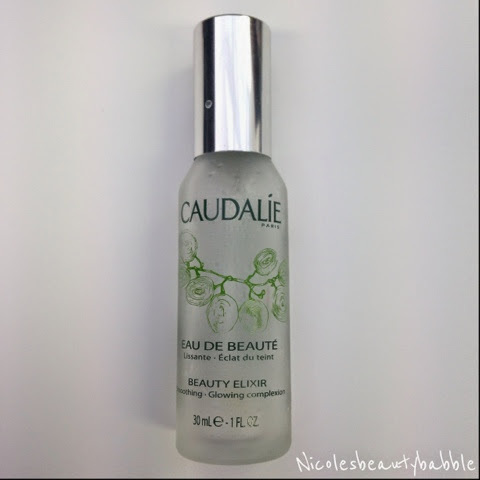 Caudalíe Beauty Elixir - This little baby is the most talked about product from the Caudalíe range as it is suppose to be the product that Victoria Beckham uses on top of her makeup for a glowing complexion. Now I never used this over my makeup but I will try it when I repurchase it. I did love this elixir, I used it as a toner so as soon as I got out of the shower I would mist it all over my face and it smells beautiful if you love essential oils you will love this. As mentioned I will be repurchasing this one as I felt it left my skin feeling plump, fresh and clean. The 30ml bottle is $23.00. A hit and a couple of misses, As mentioned above all items I purchased off of Feel Unique. 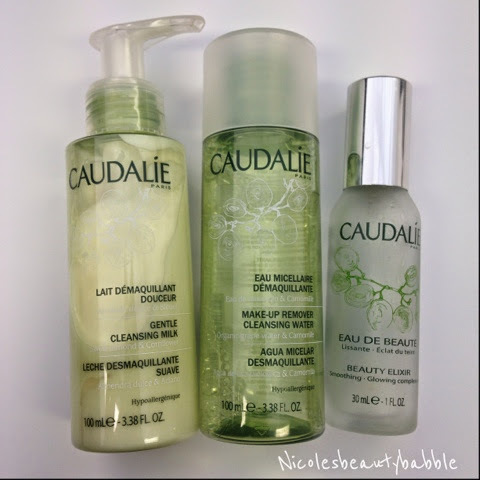 Have you tried anything from the Caudalíe range?